If you’re the creative type, craft stores are a true haven. 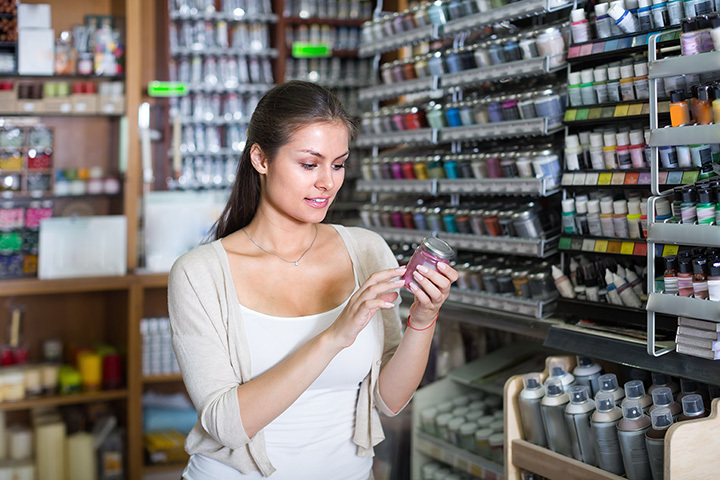 Whether you enjoy scrapbooking, painting, crafting exquisite floral arrangements, or decorating picture frames, there’s something to help you with your hobby at the best craft stores in Maine. Here are our favorites. Featuring a huge supply of art materials, the Art Mart also sells a small selection of craft supplies, too. Check them out when your creative juices start flowing! How do I live thee, Art Mart? So many ways. In addition to selling both artist and crafting supplies, Artist & Craftsman Supply features frequent demonstrations and classes. Check their Facebook page for times and dates! You won’t want to miss it. In addition to high-quality supplies for artists, Salt Bay Art Supply carries an impressive array of craft supplies for the crafter, too. You’ll also find great gifts for sale here, as well. In addition to everything for the potter, Portland Pottery also carries a wonderful selection of supplies for artists and crafters. Check out the classes they offer in their store, too. This chain of craft stores sells everything for the crafter. Whether you knit, paint, enjoy crafting with wood, enjoy scrapbooking or more, you will find everything you need at this craft store. In addition, you’ll find a nice selection of gifts for both adults and children.